For example, while researching and writing this essay, I’ve bought a birthday gift for one of my daughter’s classmates; scheduled a play date; stuffed folders in her classroom, which I do every Friday; volunteered to do registration for Grandparents day for two days rather than the one I signed up for because they needed extra volunteers; rescheduled one of my appointments to attend a volunteer luncheon at her elementary school; designed, purchased and mailed invitations to my youngest sister’s bridal shower; organized catering for the shower and the forthcoming wedding; noticed that I still have to find decorations and made a note that I should have called my other sister about this yesterday (argh); drove an hour and 15 minutes see my two week-old nephew and back home; took both kids to Target to pick out Valentine’s Day cards for their classes and scrounged up time to write out the cards for the two-year old. In the shower while I pondered the topic of the particular essay for the 100th time, I realized frantically that I completely forgot to get my brother a birthday present. We missed his party weeks ago when my youngest kid was feverish and miserable. There’s now a note on my desk: BUY THIS PRESENT IMMEDIATELY BECAUSE I’M A TERRIBLE SISTER. I did all of these things while also writing essays from my assortment of editors and publications and traveling out of town to be a visiting writer for a few days. I still haven’t bought his gift. I might actually be a terrible sister. Just typing the above paragraph makes tired. I pour more coffee into my cup and will the caffeine to take effect soon. Then, I have another. Kin keeping is a subcategory of what sociologists and women’s studies scholars call “carework.” The Work and Family Researchers Network defines the term as the work of caring for others that is unpaid or paid. Women care for others at home but are more likely to end up in the service industry being paid to do carework as well. Relying on U.S. Census Bureau data, Riane Eisler and Kimberly Otis write in “Unpaid and Undervalued Care Work Keeps Women on the Brink” that women “devote more than 110 million hours a year of unpaid interactive childcare” which is more than double men’s hours a year. Carework, they point out, is both “socially and economically essential,” but it is also a factor in the staggering rates of poverty for women over 65. Women are most often part-time or full-time caregivers, which impacts employment opportunities or lack thereof. On top of the economic consequences, taking care of people and doing domestic work (cleaning, cooking, organizing, etc.) is demanding physical, mental, and emotional work that often goes unnoticed or unremarked. Yet, it is required work for families and societies to succeed. Brenda Bethman writes in her 2013 post, “Kin Keeping: Women’s Hardest Work,” that “kin keeping is what makes a family’s world go round,” but it comes with consequences for the kin keeper as well. Unsurprisingly, carework and kin keeping both fall disproportionately on women, and women are expected to manage home and family alongside work and our own interests. When we don’t keep kin, we can face criticism and scrutiny. I’ve been scolded for tardy thank-you notes and forgetting important dates or birthdays. Meanwhile, I keep track of all these tasks by myself and can identify who gave my toddler which gift from his birthday months ago. “These invisible tasks,” McLaughlin notes, “are sucking the life out of us.” She’s not wrong. It feels like it is time to lighten the load or recognize that this invisible labor is necessary and important work that someone has to be responsible for. However, these are not tasks that women face solely at home. At Quartz, Soraya Chemaly emphasizes in her 2016 article, “At Work as at Home, Men Reap the Benefits of Women’s ‘Invisible Labor’ that ”the weight of women’s emotional labor is felt in our workplaces too. Women are expected to perform labor “in the office with very little returns,” including buying snacks, organizing and planning events, making coffee, cleaning up, taking notes, and even buying birthday cakes and farewell gifts. Chemaly describes this as “office housework,” which is hardly visible but remarkably time consuming. My previous department head often tasked me with organizing and purchasing food for department events and became annoyed when I back away from these unpaid responsibilities. Kin keeping, then, exists in offices, industries, and academia too. Women can end up spending time on “chores” that are necessary but unrecognized at the detriment of their careers. Holly Ann Larson, an English instructor at Lake-Sumter Community College, writes in Emotional Labor: The Pink-Collar Duties of Teaching” (published in Currents in Teaching and Learning) about this emotional labor as “the pink-collar duties of teaching.” Women teachers, after all, are expected to nurture and care for their students, and this emotional labor, this form of kin keeping, bolsters the well-being of both students and institutions. 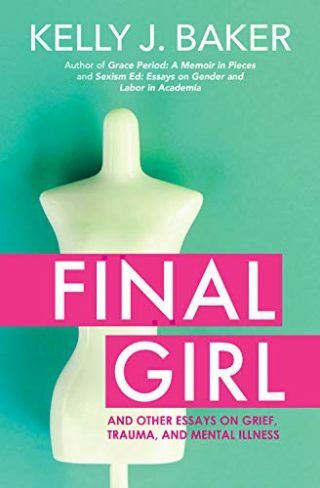 “Emotional labor,” she argues, “keeps institutions of higher education accessible to everyone.” What Larson wants to work against, however, is that idea that this is not important labor. Kin keeping, and carework in general, is a critical component of teaching and creates solidarity between students and teachers and students and institutions. Larson reminds us that carework is real work that should be valued and compensated in academia. Carework is also hard work that needs to be recognized and appreciated in the workplace and at home. Making this work visible is but a first step. The next and much harder step is making people realize its value and the need for everyone to help keep kin, not just women. This essay first appeared in Women in Higher Education in March 2016.